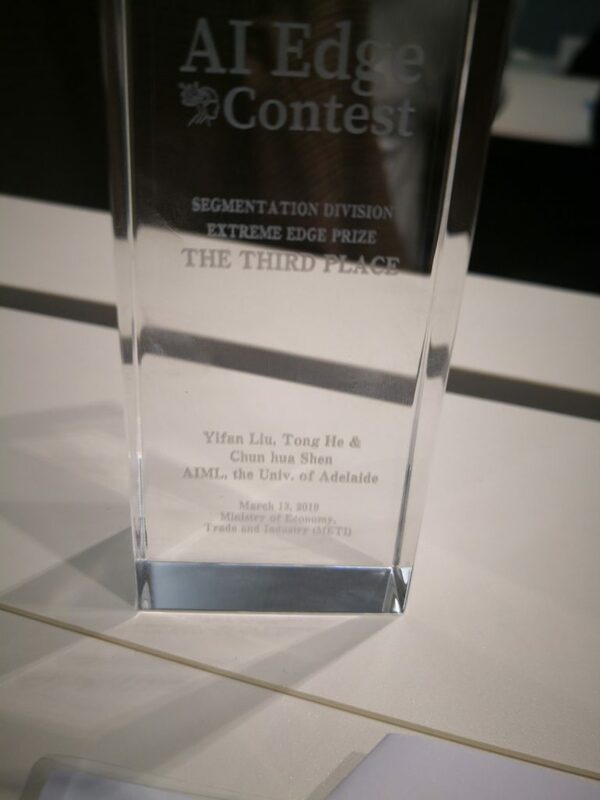 We (Yifan Liu, Tong He, and Chunhua Shen) attended the AI edge contest organised by The Ministry of Economy, Trade and Industry Japan, and won the 3rd Place. The task is to create an algorithm to segment the image region corresponding to an object of interest at the pixel level. Images are captured by a camera mounted at the front of a vehicle. 90 teams with 402 participants globally attended the contest. This entry was posted in deep learning, news, research. Bookmark the permalink.